We know that your house move can be incredibly stressful for both you and your family. That’s why we make every effort, with every single move, to make sure that you don’t have any of the anxiety of moving house. You simply let us take control and watch as your move happens without disruption or fuss. We also have a complete packing and unpacking service to compliment your removal. We make sure everything is packed and ready to go on the big day, so that the move is as seamless as possible, and takes the absolute minimum amount of time. Then we unpack all your precious belongings into your new home as if they’d been there for years. This means that you have the least possible strain and can get on with all the great things to do with moving house. Our Wimbledon removal service is the best. Why? Because we have the best staff, each and every one of our highly trained professional drivers and porters are always ready and willing to go that extra mile to make your life easier. Just call our removals quote line for a free, no obligation quote from one of our specialist Wimbledon removals teams on 0207 731 0551. Alternatively, just use our quick enquiry service, and we’ll get right back to you whenever you want. 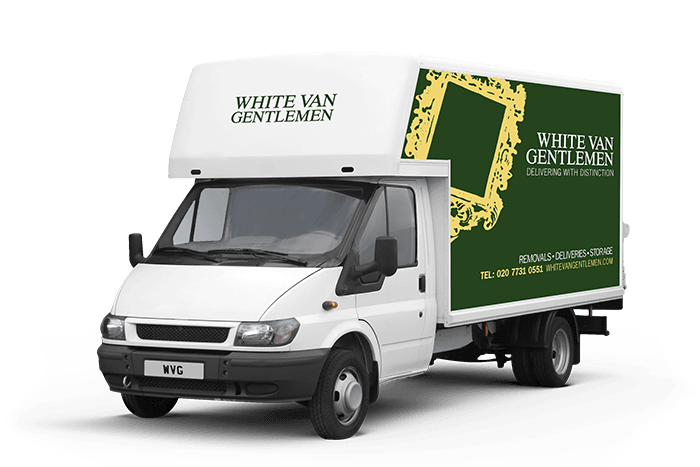 If you’re looking for a Wimbledon deliveries, removals and storage company that offers the best prices and a whole lot more, White Van Gentlemen is the perfect choice. With hundreds of delighted customers right across Wimbledon, you know that your valuable possessions are in the right hands, whatever you need to get done. Call us now and find out how our polite, professional service can really make your day.